Could Fabianski cost Arsenal their Champions League semi-final? As many of you will have already heard Lukasz Fabianski could be more than likely to deputise for Manuel Almunia in another semi-final for Arsenal. This time, in the first leg against Manchester United at Old Trafford on Wednesday 29th April, in what will be the Gunners' biggest game of the season so far. Having seen his horror show in one semi-final already, could the Polish shot-stopper be Arsenal’s biggest problem in trying to reach a second Champions League final? 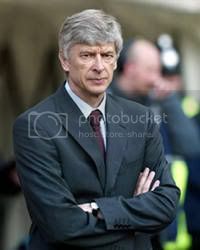 Arsene Wenger’s youth policy has become well-known in the footballing world for creating young men who seemingly have little fear and are already prepared for any situation that comes their way. However, Fabianski is the exception that breaks that rule after ‘bottling it’ against Chelsea on Saturday. Much like yourselves I have seen the 24-year-old a few times this season and always thought he gave a very good account of himself, looking confident coming for crosses and producing some great saves along the way, most notably the one he produced against Wigan in the Carling Cup this season. On the big stage though he looked like a rabbit caught in headlights in one of the worst goalkeeping performances I have seen for quite some time. Almunia’s potential replacement looked a shadow of the man we have seen and in gifting Didier Drogba the winner he will have done major damage to his reputation amongst Arsenal fans who will now have little or no confidence in him. Despite his poor display though I believe Fabianski will bounce back, the only problem is that he will need time, something Arsenal don’t have with the game at Old Trafford being just eight days away. With the game against Liverpool to come, along with Middlesbrough at home on Saturday, there isn’t enough time for the Poland international to get his confidence back. From the outside that looks to be his problem, a lack of confidence and belief, along with an annoying habit of rushing out of his goal. It's a safe football bet that Old Trafford will be a cauldron of noise next Wednesday, a place where a young goalkeeper will struggle to find any friends on a season-defining night. It looked as if Fabianski cracked under the pressure, another aspect that will make the Champions League semi-final almost impossible for him. Arsenal are almost guaranteed to come under some kind of pressure at some point next week and will look to their goalkeeper to organise the defence and be calm when dealing with difficult situations. I fear that instead of finding that goalkeeper though they will find a young man looking out of place and someone who Wayne Rooney and Cristiano Ronaldo will be licking their lips to face. Arsenal didn’t have the best start to the season and found themselves out-with their normal top four position for a large chunk of the year, however they have now regained fourth spot and are looking onwards and upwards. It is true that their resurgence has started to come at a time when many of our players have started to return from injury, but one man has stood head and shoulders (not literally) above all of our players and that is new signing Andrey Arshavin. Arshavin has not been at the club for long but looks like potentially being one of the most talented players to ever pull on an Arsenal shirt. The tricky little Russian has all the qualities to be a true Arsenal great including pace, skill, excellent shooting ability, fantastic awareness and absolutely no fear. If only we had signed him in the summer we could still be in with a realistic chance of winning the Premiership. He seems to bring a lot of the attributes that we are missing in the team to the club, in particular the ability to create chances from nothing and produce that little bit of magic that helps to breakdown teams. For Arshavin to really be an Arsenal great he needs to help bring the league title back to Arsenal, something we have not seen for far too long now. 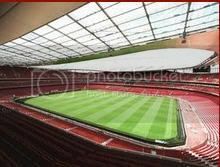 Next season is a huge season for Arsenal as we really need to start winning trophies, but now for the first time in a few years nearly all of the building blocks seem to be in place for Arsenal to last the distance and be crowned Premiership champions. A crucial aspect, like it is every year for Arsenal, is if we can keep our players fit. We seem to pick up a ridiculous number of injuries to key players which if we can avoid, at least to the extent we have seen of late, then we definitely have the first team and the squad to go all the way. by Danny Watson, a professional sports writer who blogs about football news. Another day and another story emerges over the future of Cesc Fabregas at Arsenal, with the Gunners skipper once again linking himself with a move back to Spain. It has been obvious for a while that Barcelona and Real Madrid are interested in the 21-year-old as he continues to develop into a world beater. However what hadn’t been made clear was Fabregas’ position on a move, but for the past few days the Spaniard has been talking a lot about leaving the Emirates Stadium, leaving me with that sinking feeling. I had the same feeling about Thierry Henry the year he left for Barcelona and was starting to get it this time last year when Mathieu Flamini and Alexander Helb were being linked with a move away. Now I will admit I am a bit of a pessimist when it comes to players staying with Arsenal and hold my hands up as being one of those fans that felt we were going to lose Patrick Vieira every season. Hopefully this is another Vieira situation where our central midfield king is linked with a move away but stays until his time has run out in north London. The loss of Fabregas would be a catastrophe for a number of reasons and whilst he has said that if Arsene Wenger asks him to stay he will do so, a move back to Spain looks to be becoming more and more tempting. For example, Fabregas was allowed to under-go his rehabilitation in Spain, despite Arsenal’s normal protocol being that players should stay with the club’s physio Colin Lewin and the club’s doctor. Those of you who read the Sunday newspapers will also know that according to reports, Fabregas’ attitude has been changing since he came back from winning the European Championship and it hasn’t been for the best. 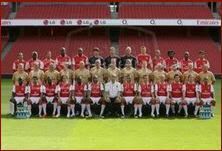 The loss of Arsenal’s crown jewel would certainly be a dark moment for the club and would in all likelihood spark the fire that could see a number of other players leave. At the moment Fabregas is the great hope that a lot of people are relying on to turn things around for Arsenal. However, even if Fabregas was to stay on would someone with another inflated ego be good for the club? I don’t think so and as such perhaps the Gunners would be better off taking the huge sum of money they would get for him and investing it in someone else. Obviously that is a worse case scenario but if the Spaniard keeps dropping hints that he wants to return to his home land you can bet that Barcelona and Real Madrid will be beating down Wenger’s door with their chequebooks come the summer.